For male howler monkeys on the search for a mate, size matters; but being a well-endowed monkey comes at a price. The results of a new study show that in some species of howler monkeys the larger a monkey’s testicles are, the smaller its voice. This might seem like an easy trade-off, but howler monkeys are the world’s loudest land mammals, capable of emitting roars of up to 140 decibels. The monkeys use their intimidating roars to locate one another, scare off predators and, for certain species, as mating calls. 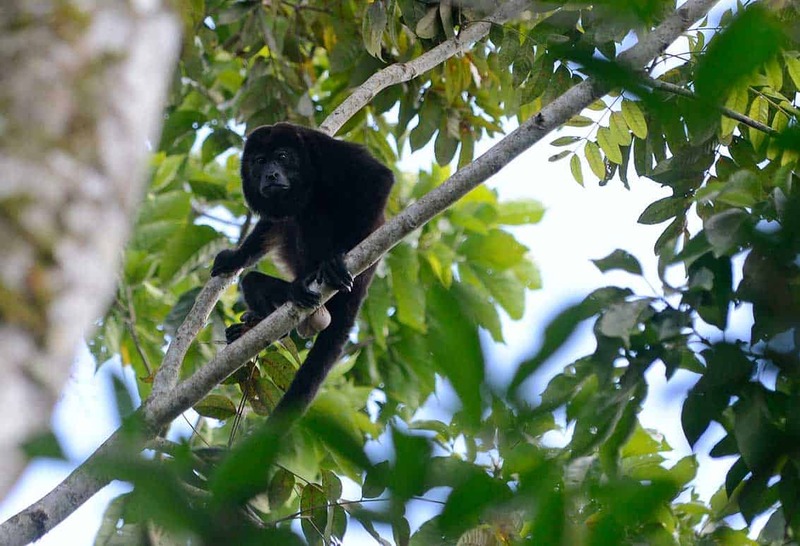 In the paper, published in Current Biology this month, researchers looked at nine species of howler monkeys found throughout Central and South America. They measured museum samples of each species’ hyoid bones, which in live monkeys sit next to their vocal chords and serve as amplification chambers, and compared these measurements with the size of the testicles of monkeys in zoos. The average results showed a clear correlation across species, but monkeys were not studied individually. The howlers found to have deeper calls belonged to the more competitive species. These monkeys favor a big voice to attract far-away females and scare off rival males. The monkeys with larger testicles belonged to species where females mate with more than one male, and a high sperm count influences the likelihood of the male successfully fertilizing a female’s egg. The reason howlers don’t have both large testicles and a big call seems to lie in the amount of energy required to develop either trait as it grows up. The mantled howler monkey (Alouatta palliata), the only species of howler found in Costa Rica, was found to have the wimpiest call, but the largest testicles of any of the monkeys studied.